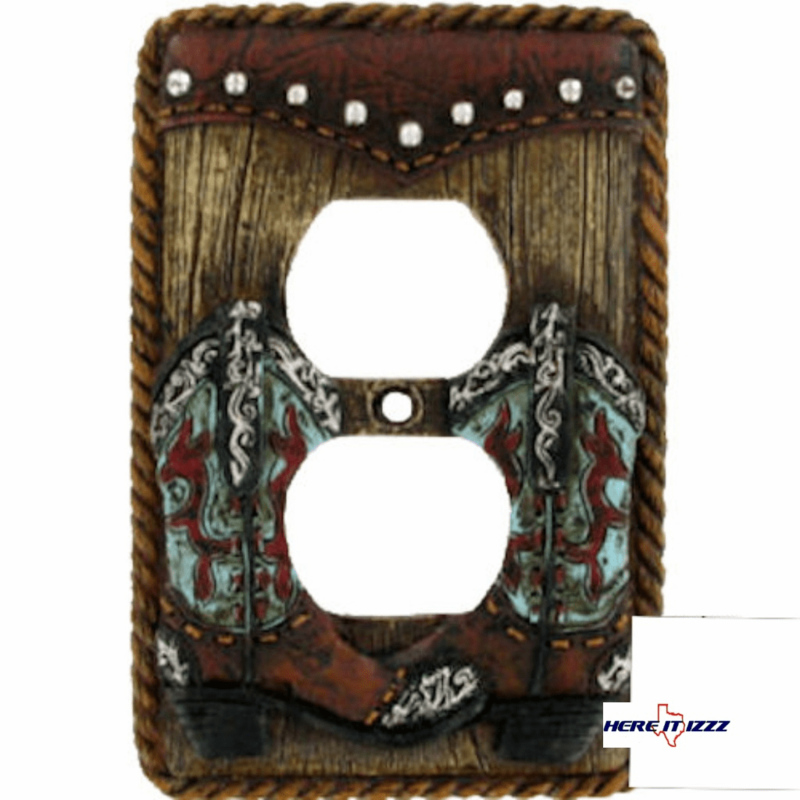 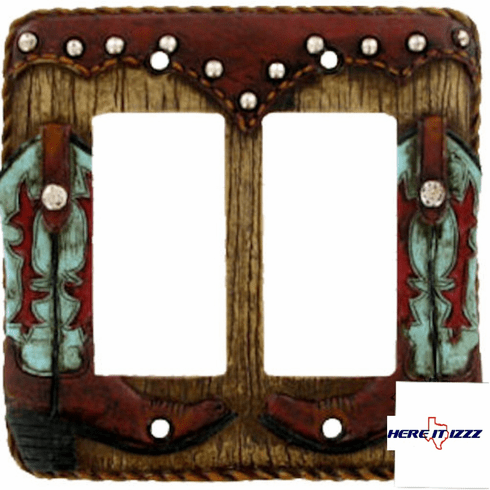 Turquoise and cowboy boot Decora Rocker plates are easy to change include necessary mounting hardware. 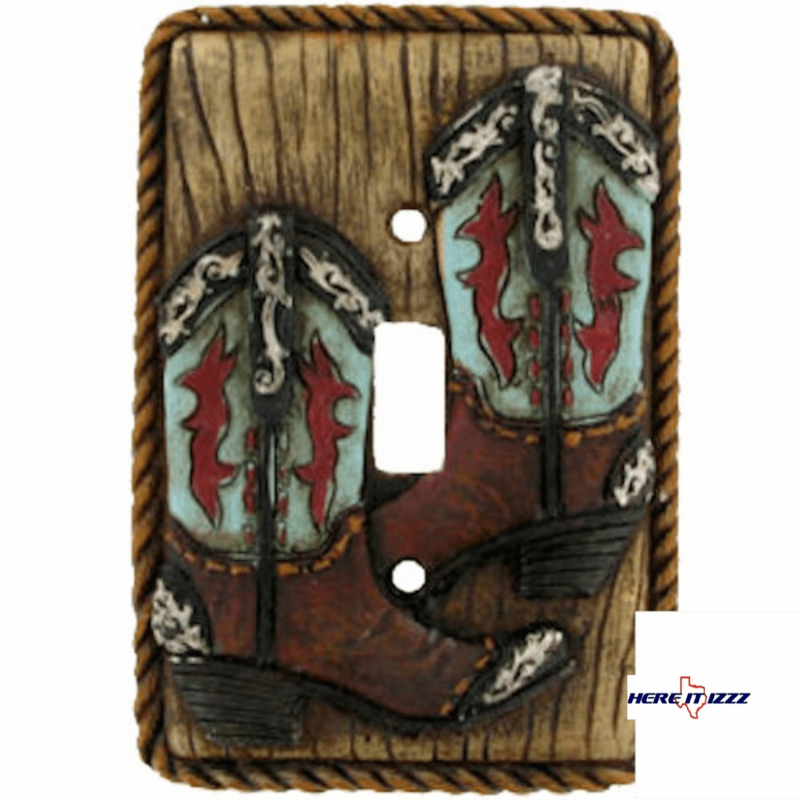 Double rocker design beautiful cowboy boot turquoise and burgundy beautiful silver tips the look of studded leather on hardwood background with cowboy lasso rope. 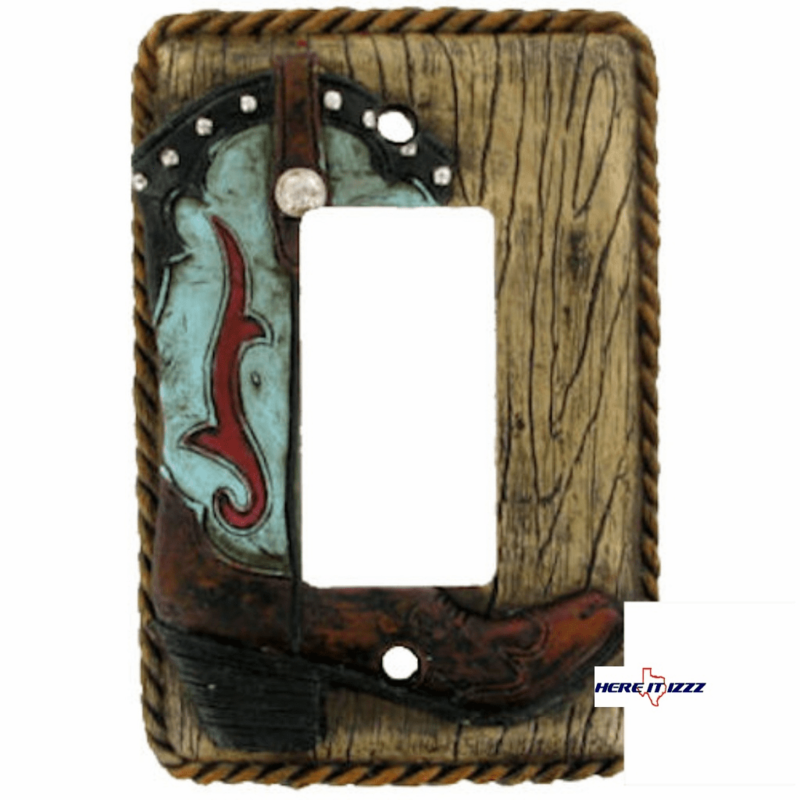 Will fit any standard double paddle style switch. 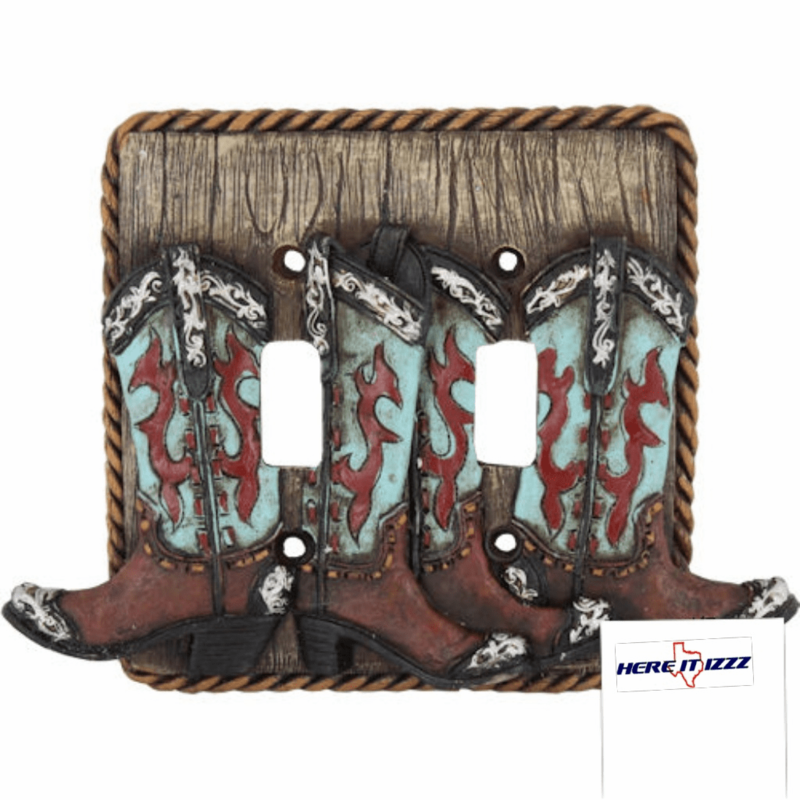 Comes complete with mounting hardware.